Disney Halloween 2008 Pin - Boo! 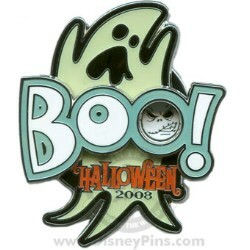 This Limited Edition pin features a stylized glow-in-the-dark ghost. Jack Skellington's face can also be seen within the "o" in the word "Boo!" 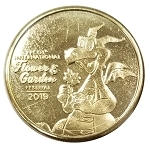 Tyler Dumas of Disney Design Group created the original artwork for this pin.